The management of serious bacterial infections in patients with malignancy is becoming particularly challenging in the light of increasing antimicrobial resistance among key pathogens and limited therapeutic options. Oncologists must take a proactive role in ensuring early identification of infection in high-risk patients with cancer followed by urgent treatment. This educational activity is designed to enhance the awareness and knowledge of the latest advancements and clinical findings, as well as offer a broad understanding of current and emerging therapeutic options when treating serious bacterial infections. 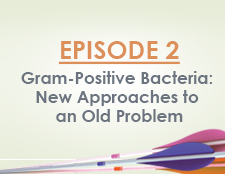 This program is divided into three learning blocks that focus on key pathogens: (1) Gram-positive bacteria (e.g., S. aureus, MRSA, enterococci), (2) Gram-negative bacteria (e.g., ESBL- and carbapenemase-producing Enterobacteriaceae, P. aeruginosa), and (3) C. difficile. 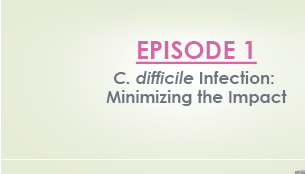 Current trends in the evolving epidemiology of infection in patients with cancer are discussed. Management approaches will focus on effective treatment strategies for infections caused by MDR bacteria. These Online Presentations are based on the CME Ancillary Educational Event held adjunct to ASCO Annual Meeting. Please note that if you received credit for attending the live meeting, you are not eligible to receive credit for the online version. As new data on emerging therapies and management guidelines become available during the duration of this online activity, we will provide the new and current information in this section. AAPA accepts AMA PRA Category 1 Credit™for the PRA from organizations accredited by ACCME. Center for Independent Healthcare Education is accredited by the Accreditation Council for Pharmacy Education as a provider of continuing pharmacy education. Center has assigned 2.0 contact hours (0.2 CEUs) of continuing pharmacy education credits for participating in this activity. Pharmacists:The information that you participated will be uploaded to CPE Monitor within 1 month and you will be able to access your credits from the profile you set up with NABP. For more information, please visit http://www.nabp.net. does not have relevant financial relationships with commercial interests. Dr. Walsh does not discuss the off-label use of a product. Advisory Board: Cubist Pharmaceuticals, Theravance Inc.
Dr. Rolston discusses the off-label use of following products: daptomycin, telavancin, dalbavancin, ceftaroline, and linezolid. Dr. Dubberke discusses the off-label use of following: Metronidazole is not approved for C. difficile infection treatment.